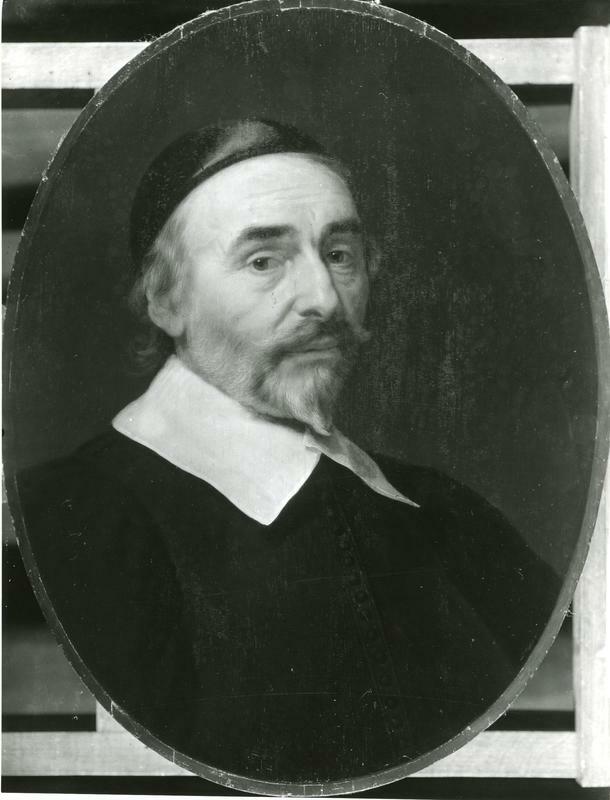 "Portrait of a Man”—by van Aelst, stolen from the Schloss family in German-occupied France by French and German agents, catalogued as Schloss 91 by the Einsatzstab Reichsleiter Rosenberg (ERR), had been sent to the Fuhrerbau in Munich in late 1943 where it was stored as part of the future permanent collection of Adolf Hitler’s Linzmuseum. In April 1945, Schloss 91, together with several hundred other works in the Schloss collection which were also stolen and stored at the Fuhrerbau, vanished in the last days of the Nazi era in Munich at the hands of unknown thieves. Pre-plunder photo of the Schloss collection. The Schloss heirs and their lawyer, Antoine Comte, contacted the auction house and were able to get the painting withdrawn from the sale. Hopefully, restitution will ensue with the assistance of the French government and the Schloss family will have another one of its treasured jewels back home to do as they please with it because it will be theirs once again. A consignor approaches a Viennese auction house with a painting that the consignor knows was stolen and never returned to its rightful owner. This painting has been listed as stolen since 1945, on American and French loss listings. Some of these listings have been available to anyone wishing to consult them for over seventy years. The Schloss losses are registered as stolen cultural property on the website of Interpol. It has been listed on French government websites. It is on the ERR database since it went public in October 2010. Hence, any high school student can conduct a search on this painting and find it in less than 10 minutes. IT IS STOLEN PROPERTY. However, in a country where good faith is idolized, much like in Switzerland, where it is used as a potent legal shield against the messes created by genocidal policies and their impact on ownership of blood-soaked properties of all sorts. Good faith works when there is no willingness to think beyond the outer edges of one's wallet. Perhaps the desire not to do the right thing is anchored in an ambivalence towards genocidal crimes themselves. Who knows? The Viennese auction house openly admits in its catalogue that the painting is stolen property and still wishes to proceed with the sale, thereby putting the onus of responsibility on the claimant to come forward and request that the painting should be withdrawn. This is so wrong that it defies comprehension. At first, I thought: Wow! How great can it be for an auction house to publish a looted provenance and be aware of it. That's so cool. But a friend rudely corrected me and say: Are you crazy? Yes, I had a momentary lapse of judgment, so overwhelmed was I by this apparent exercise in transparency. But that is precisely what transparency is all about--a smokescreen, a pipe filled with substances that make you dumb once you inhale the smoke. The auction house made us believe that it was genuine about its awareness of thefts from the Holocaust era and wished us all to know it. That acknowledgment actually made the victim responsible for withdrawing the item before the hammer falls and the ownership of the painting changes hands once again, thus transferring title to a looted painting to another possessor. Hence, it had failed in its duty to report the painting as stolen, to contact the Austrian authorities, the French authorities, who knows, even the Jewish community of Vienna and work out something else besides a self-serving announcement in its catalogue. Hasn't anyone learned anything since 1998? The official start date, presumably, of the world (re)awakening to the notion that our societies are awash with assets looted between 1933 and 1945 as part of a genocidal undertaking? Where was the Austrian government in all of this? Where were the Austrian police? Where were the restitution experts in Vienna, the Jewish community, when the Schloss painting was advertised as being looted cultural property in Vienna? Yes, all of these parties should think about what it means to be diligent and to advocate for restitution for all victims, Austrian and non-Austrian, because, when they do not, they perpetuate the continuing mess described as “restitution of plundered art”. Yes, it is 2016 and the feeling that we cannot seem to shake off is that the learning curve is as steep as it ever was. According to Austrian investigators, this painting came from a Munich collector who owns ten, yes ten, Schloss paintings. The Fuhrerbau theft was the largest art theft in the history of Munich perpetrated against a single entity. Perhaps the largest art theft perpetrated in Germany’s long and rich history. 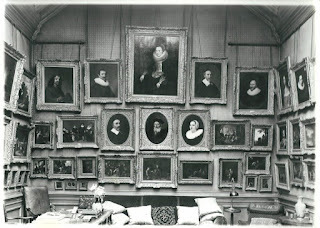 At least 1000 paintings stolen in April 1945. The American liberators did not really pay heed to the theft until a year later when criminal investigators of the Monuments Fine Arts and Archives (MFAA) who were the new oversees of the Fuhrerbau converted into the Munich Central Collecting Point, took note of the dozens of art works popping up on the Munich black market which all appeared to come from the same source: the Fuhrerbau. Over the next four years, the Americans and their colleagues in the Munich Criminal Police uncovered somewhere between 70 and 100 paintings from that singular theft, or not more than 10 percent of the haul. The rest vanished into thin air. We now know that ten restitutable paintings belonging to the Schloss family are somewhere in Munich, in the hands of a single collector, who is probably aware of their stolen origin. The onus now is on the German authorities, the French authorities, the Schloss heirs and their attorney to move and obtain the restitution of that small trove which rightfully belongs to the Schloss heirs. This is the third installment in a series of articles on provenance research as presented to the general and specialized public through digital communications in the form of websites and other displays accessible through search engines on the Internet. Before we shift to cultural institutions outside the United States and examine how they present “provenance research” to their public, it would be good to consider for a while the notion of “challenge" that many museums express on their websites when describing provenance research. Here are some ways that challenges are expressed to us, the general public, so that we can appreciate the seriousness of the task at hand—provenance research—and appreciate how complicated, tedious, arduous, laborious, thankless, and, yes, perhaps, even impossible the task might be. I ran out of adjectives. One obvious reason for such challenges is to blame the lack of relevant documentation to physical loss and fading memories and the fact that previous generations were not as litigious as ours and not as obsessed with private property ownership and did not commit every iota of information about objects sold, purchased, loaned, bequeathed, on paper. Yes, that lack of concern for maintaining complete audit trails, registers and other forms of documentation, has worked to our detriment, perhaps, but it was then, and now is now. Hence, the challenge. Oh, and there is that terrible situation where you cannot trust everything you read. What if you are being deliberately misled, three, four generations later, by some conniving seller who will withhold the truth about an object. Don’t trust anything that you read. This argument can be used malevolently by all parties involved in determining the ownership of an object and/or its authenticity. And, yes, there is that timeless practice whereby owners, sellers and lenders of art objects under scrutiny want to remain anonymous. This is where provenance writing gets to be creative and enters the fictional house through the front door. History as fiction has found its nest. Princeton University wants us to know that, for most of the above-cited reasons and many more, no provenance can be complete and there will always be some gap, as narrow as a thread or as wide as the Nile River. The Art Institute of Chicago reminds us that, just because there is a gap, it does not mean that something bad and illicit occurred. Even if it did, the problem of ownership might have gotten fixed and therefore the object in its collection is FINE. So, no need to worry. There is always another document to demonstrate licit ownership. Or is there? In other words, we are now in the middle of the contentious debate whereby provenance research enters a subjective arena, where research is unfortunately tailored to suit the legal needs and requisites of the institution holding the object at hand or the person claiming it which will do whatever is necessary to demonstrate that it cannot leave the building or that it is in fact THE object being claimed as lost. Both sides to ownership disputes have been found to be lacking in this area and reluctant to acknowledge that the facts at hand might dispute their arguments. It is an unfortunate state of affairs, even for me, to have to make this clear but the intellectual process that accompanies the research must be inviolate and not subject to our desires and expectations. Humility is a virtue not necessarily found everywhere, especially when we are proven wrong. Stanford University correctly points out that the complexity of the challenge facing those who “do” provenance research can be ascribed to the physical nature and attributes of the object at hand, through mislabeling, multiple titles and dimensions that are dissonant with one another over time and space. Actually, this is one of the most common problems faced by anyone researching the object at hand. The researcher must always keep in mind when reading documents from long ago: are these documents describing the object that I am interested in or is it one that resembles it but is not exactly the same one? Every artist has produced different versions of at least one piece which she created, often driving researchers to the brink of madness in their efforts to ascertain whether or not their object is the correct variant of the other twenty versions of the Madonna with Child, Adam and Eve, the same still life, the same interior, or the same casting. The Yale University Library (not the Art Gallery) recommends that the needed information to ascertain the authenticity of the object at hand can be found in documents having nothing to do with art history—wills, insurance policies, especially when no images are available. While many institutions stress that curators perform the research into an object’s history, the Walters Museum in Baltimore, MD, and the Carnegie Museum of Art inform us that “museum staff, fellows, and interns” perform research tasks. This is wonderful news for those who are thinking of entering the museum world and do so through internships, mostly unpaid. But one has to wonder whether the training underlying the complexity of such research is provided to fellows and interns by either museum staff or outside consultants, in order to ensure optimal result. This comment is not meant to disparage the many graduates from art history and museum studies programs and anyone interested in historical research and art history and their skill sets. Everyone has to start somewhere. Since there are no systematic training programs in the United States to prepare those interested in provenance research, and especially to help them overcome the challenges inherent to such endeavors, the onus falls on those seasoned practitioners, like the sole curator of provenance in the nation, at the Museum of Fine Arts in Boston, to ensure a framework for how research is conducted. Pressure, pressure. To remedy the challenge of obtaining rather obscure documents to fill provenance gaps, the Carnegie Museum of Art in Pittsburgh, PA, also recommends more sharing of information between researchers and their institutions. Such sharing does occur but to what extent is unclear except through anecdotal testimonials provided by museums staff or outside researchers and professionals who have been contacted to provide needed information on objects. Research requires intellectual effort, critical thinking skills, the ability to correlate and assess, objectively and critically without any hidden agendas whatsoever, the content, value and relevance of documents and pieces of information from disparate sources that one gathers in order to apprehend the framework and inner workings of a story, in this case that of an object. The more in-depth the research becomes, the more time is needed to delve into the story, partly hidden, fragmented like a broken vase which shatters into dozens of pieces. Maybe that is the best analogy that I can come up with: provenance research involves the reassembly of a broken history, and sometimes we just cannot. But we have to do our best. Cultural institutions oftentimes treat art objects the way that emergency room personnel operate a triage center: one pile of objects is ‘verschtunken’, condemned, useless, no one can save them, research is futile. Another pile of objects might be salvageable and some research should be done enough to have something to say about them because the research itself might be less complex than for the "vershtunken" ones, and the pile that everyone loves is the one where objects’ histories and stories are simple enough to stitch together, You know, the vase that breaks in only three pieces is the one we like the most, even if there is just a tiny fragment that you cannot find but, what the hell, the story line is saved and so is your reputation and the world turns as smoothly as it ever did. As for the other objects, they were “challenging.” Some are rescued, most are not. Let’s just hope that cultural institutions, writ large, do not really approach research as if they operated (no pun intended) a triage center with an implicitly acceptable casualty rate. Museums come in different sizes and shapes. Their content varies widely and wildly and so do their stated purpose and mission. The one task that should be common to all of them is research into objects for which they are responsible either as owners or as borrowers. One obvious reason why research cannot take place is the absence of financial and human resources mustered and allocated to support such research and assist these institutions in doing their due diligence and providing their public with the added benefit of as complete a history as possible for the objects in their care. Who knows? Visitors might actually be interested in the objects that they view. The fault for this lies squarely, in my view, in the lap of those who direct and fund cultural institutions, for whom, research does not rise to the level of a necessity but rather remains in that non-essential category as a luxury, fit to be cut at a moment's notice. Museum boards and those beholden to them should bear the ultimate responsibility for this miserable state of affairs of research in cultural institutions. Local, State and Federal governmental agencies in the US and ministries of culture in all other countries, share in that responsibility and should be held accountable for such a scandalous withholding of research funding. How is “provenance research” defined? The Getty Museum teaches us that the word provenance comes from a French word provenir, which means "to come from." Provenance, thus, is the history of ownership of a valued object, such as a work of art. The International Foundation for Art Research (IFAR) also indicates that provenance "derives from the French provenir meaning “to originate”. Although the term is sometimes used synonymously with “provenience,” the latter is an archaeological term referring to an artifact’s excavation site or findspot." IFAR is part of a small group of institutions that differentiates between art objects and artifacts. The Lauren Rogers Museum of Art inLaurel, MS, defines the provenance of an art object as ownership history—“ the wheres, whos, and whens of its past.” Like many small museums, the likelihood of an art object in its collection with a dubious past requiring special treatment is remote. This museum has found eleven objects which require additional research including a painting by Eugene Boudin. Although marginally concerned with questions of Nazi looted art, the Lauren Rogers shows us how a cultural institution can take extraordinary, one might say even disproportionate steps, to ensure that the full ownership history of these eleven objects gets properly documented. Some museums do not beat around the bush: provenance is about legal title to the object in their collections. At the Bass Museum in Miami Beach, FL, “the goal of provenance research is to verify that museums have legal title to and legitimate possession of works in their collections.” The few objects on its website display no provenance information. Hence, the message is clear. Provenance is associated with legal issues and there is no reason why the information should be made public. At the Lowe Art Museum of Miami University, concern is expressed for the potential presence of looted objects in a museum collection, however, the language is so flat and vague that we are left wondering whether provenance is even a consideration. The same issue arises at the Vizcaya Museum and Gardens in southern Florida. There too, one is left with the impression that provenance was not really a concern prior to the 1990s but that might be due to the unique nature of the Vizcaya's collection, which derives from a handful of wealthy donors. The University of Arizona goes so far as to say that provenance research “can also help verify a piece as legitimate or ensure that it has been acquired by honest means.” However, it is difficult to take the university seriously when the objects on display have no provenance information. The Getty Museum discusses a “full provenance” as being “a documented history that can help prove ownership, assign the work to a known artist, and establish the work of art's authenticity.” . The International Foundation for Art Research (IFAR) describes the provenance as “a historical record of its ownership, although a work’s provenance comprehends far more than its pedigree. The provenance is also an account of changing artistic tastes and collecting priorities, a record of social and political alliances, and an indicator of economic and market conditions influencing the sale or transfer of the work of art." At the Philadelphia Museum of Art, we find out that “the provenance of an individual work of art sheds light on its historical, social, and economic context, as well as its critical fortunes through time. Knowledge about individual collectors and their collections can provide insights into the history of taste and the habits of collectors, dealers, and the relationships between them,” perhaps one of the rare museums to contextualize and texture the deeper meaning of the provenance and equating it to a piece of living social, cultural, political, and economic history. For the Walters Art Museum in Baltimore, MD, provenance research can shed light on the collecting habits of individuals. If all museum websites followed Oberlin’s lead, we would all be well-advised that a complete provenance, especially for objects created before the 20th century, is nigh impossible to produce. The Metropolitan Museum of Art tells us that the “complete provenance of a given work of art is often difficult if not impossible to establish.” It raises the issue of challenges that many museums belabor, rather than define what a provenance is, a somewhat defensive posture, at least that’s how I see it. The Hood Museum at Dartmouth University gets brownie points for its open admission that inaccuracies can flaw provenance research and result in erroneous or distorted views of an art object’s history. Similarly, the Worcester Art Museum is quick to point out that an incomplete provenance is not an indication of foul play. Some institutions pass on defining what a provenance is and what research into a provenance entails. They simply indicate that provenance is part of the museum’s daily activities and they move on to address the question of “challenges” which will be addressed in another section. At the Yale University Art Gallery, there is no overt mention of provenance research. One has to go digging into its collection policy to get an idea of how the Gallery “handles” art objects with a dubious past. The Smithsonian in Washington, DC, states that “researching the provenance of collections is a fundamental aspect of curatorial work, but this research is labor intensive.” The Philadelphia Museum of Art follows the same dictum, which is to discuss provenance research as a routine in the museum’s daily life but it emphasizes its “particular effort to investigate the World War II-era provenance of the European paintings, sculptures and decorative arts in the collection.” As a side note, does provenance research extend to works on paper? The Art Institute of Chicago stresses the fact that “since 1997, and in keeping with guidelines issued beginning in 1998 by the American Association of Museums (AAM) and the Association of Art Museum Directors (AAMD), the Art Institute has intensified its efforts to determine the provenance for the period 1933-1945 for paintings and sculpture in its collection.” One of a small cohort of cultural institutions which provides a historical context to the emergence of extensive provenance research as a concern in American cultural institutions with emphasis on the 1933-1945 period. This “desire to make information on provenance… more widely accessible” arose in the wake of the Swiss banking scandal of the mid-1990s, the seizure of Schiele paintings at the Museum of Modern Art in New York in early 1998, the framing of principles at the Washington Conference of December 1998 to guide museums on how to “handle Nazi looted art.” The Washington Conference of December 1998 fired the first official shot across the bow of the international museum community as a soft warning meant to correct longstanding practices of relativizing the history of objects in their collections, without due consideration given to events like world wars and genocide as key disruptors of the chain of custody of their objects. The Washington Conference prompted the AAM and AAMD to gear up and they issued their own guidelines on provenance for their members. “The desire to make” provenance information more “accessible” sounds more like an ex post facto rationalization and a revisionist approach to the historical reality which is that, without the Washington Conference, there never would have been such an emphasis on provenance research. 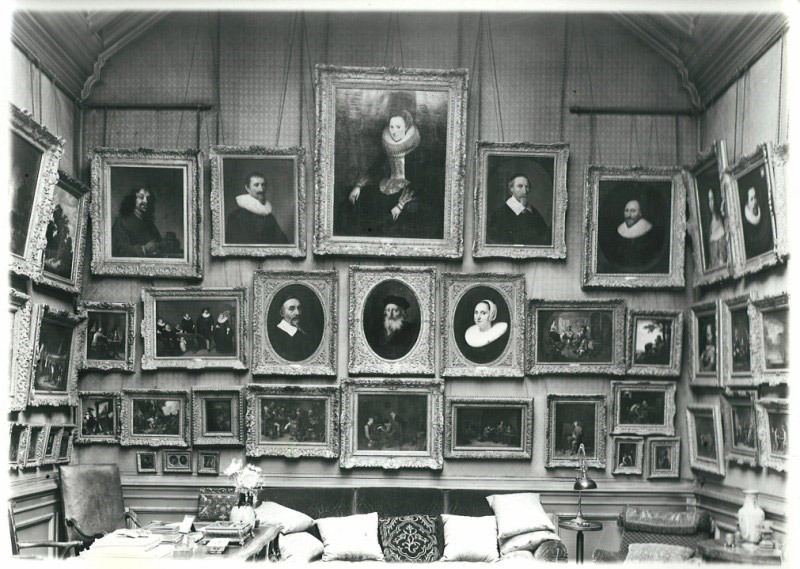 The Wadsworth Art Museum in Hartford, Connecticut, sets 2002 and 2003 as the inception of its provenance research efforts affecting 257 objects. No information is actually published on the Wadsworth's website regarding those objects which presumably carry with them issues of ownership. Perhaps the mission of this museum is to keep private the results of its research, which would be in clear violation of the intent underlying the Washington Principles of December 1998. This lack of transparency continues to affect many institutions both in the US and abroad. This brief overview of how provenance research is defined in a random sampling of American cultural institutions leads me to conclude that provenance research is viewed differently, practiced differently, and as with the Walker Art Center, one wonders whether, had there been no Swiss banking scandal, no seizures of paintings in an American museum, no Washington Conference, there would have been no Washington Principles and therefore, no websites to indicate how seriously these institutions treat provenance research. All of this is water under the bridge and today's reality is strikingly different from that of the 1990s regarding individual and institutional awareness of the ethical, moral, cultural, legal consequences of provenance research. Let's be clear. Provenance research is being taken seriously in an ever-growing number of cultural institutions, public and private, much more so than two decades ago. Their websites embody the public expression of those concerns, although there is an obvious awkwardness about how to explain why there is such a "sudden" emphasis on what was supposed to be part of a museum's daily practice. These presentations of provenance research efforts will hopefully lay the groundwork for a more comprehensive framework to a highly specialized discipline practiced in a vast, inter-disciplinary context that has grown beyond the exclusive provinces of art history and museum science. Much still needs to be done to overcome the barriers between practitioners coming from very different specialty areas. Work in progress. The next articles will focus on cultural institutions outside the United States, for-profit companies that tout provenance research as part of their portfolio, the “challenges” that cultural institutions profess are inherent to provenance work and how cultural institutions address the methodology underlying research into the provenance of different categories of objects including antiquities and indigenous artifacts.